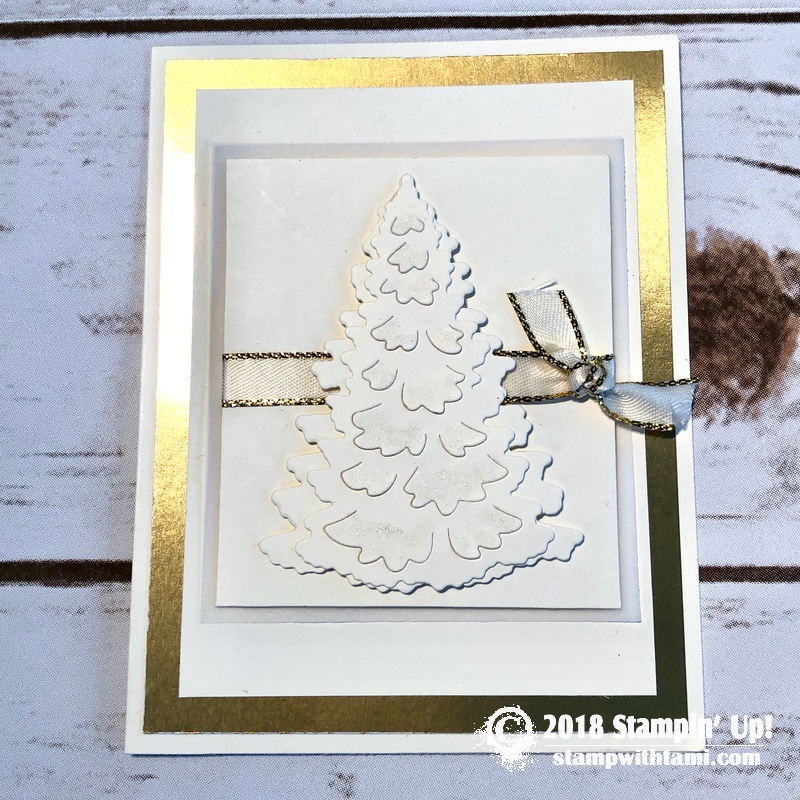 Welcome to my Stamp It Demonstrator’s Group Christmas Blog Hop. We’re all really excited to unveil our projects, and announce a new contest give-away (below). To continue on your journey through our projects, simply use the BLOG HOPPERS links below. My blog hop projects are this set of gorgeous gold foil holiday cards from the Stampin’ Up! Winter Woods Stamp Set and In the Woods dies**. I’ll show you how to make all 3 of these cards in the class video replay below (filmed live on facebook and youtube). 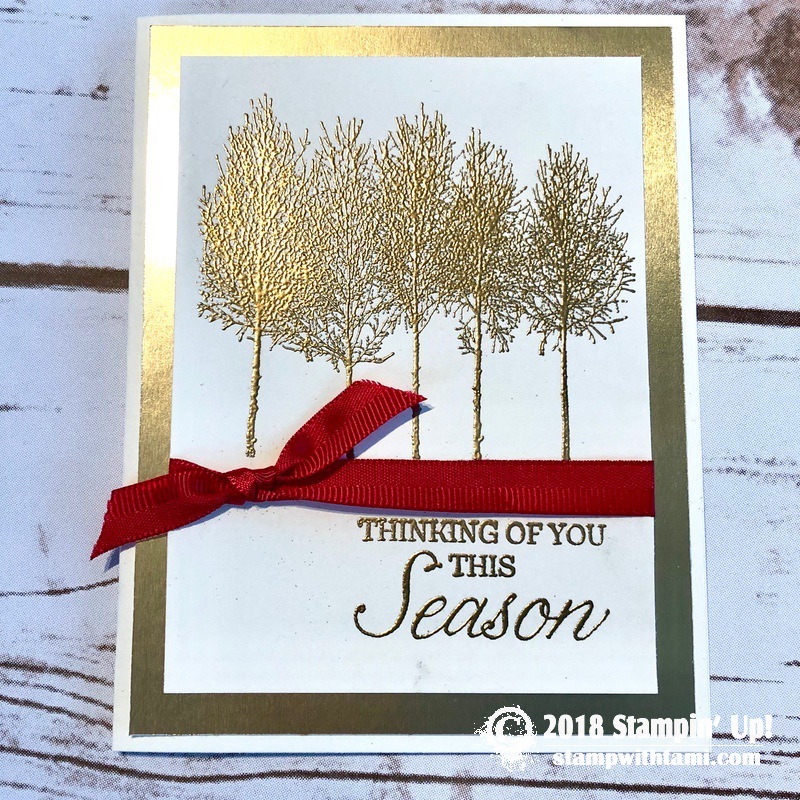 **NOTE ON IN THE WOODS DIES SELL OUT: Stampin’ Up has notified us that the “In the Woods” dies (along with several other products) are about to sell out. At the time of this live video taping the die was still available. But it could sell out at any time. We’ve been told it will come back in a future Stampin Up catalog, but we won’t be able to purchase it again until that time. If you love this bundle, be sure to get it before it sells out. More info on this, and the other low inventory products is here. Love these gold foil embossed cards! I don’t have this set, but found an odd tree stamp and have had fun trying to make a similar card to your first one. Copper has been my favorite embossing color, but now I’m loving the gold. The three cards are beautiful but my favorite one was the one using the stamp set with gold embossing. Gorgeous cards! Love the gold! Sad I didn’t buy the bundle when I purchased this stamp set, but I love it even without the framelits dies. Lovely cards, Tami! Those cards are so very elegant! Fabulous cards, Tami! Thanks much. I just love this set. Thank you for all the great examples. #stampitcontest Such elegant and easy Christmas cards! Love them! Simply gorgeous! These look so pretty! 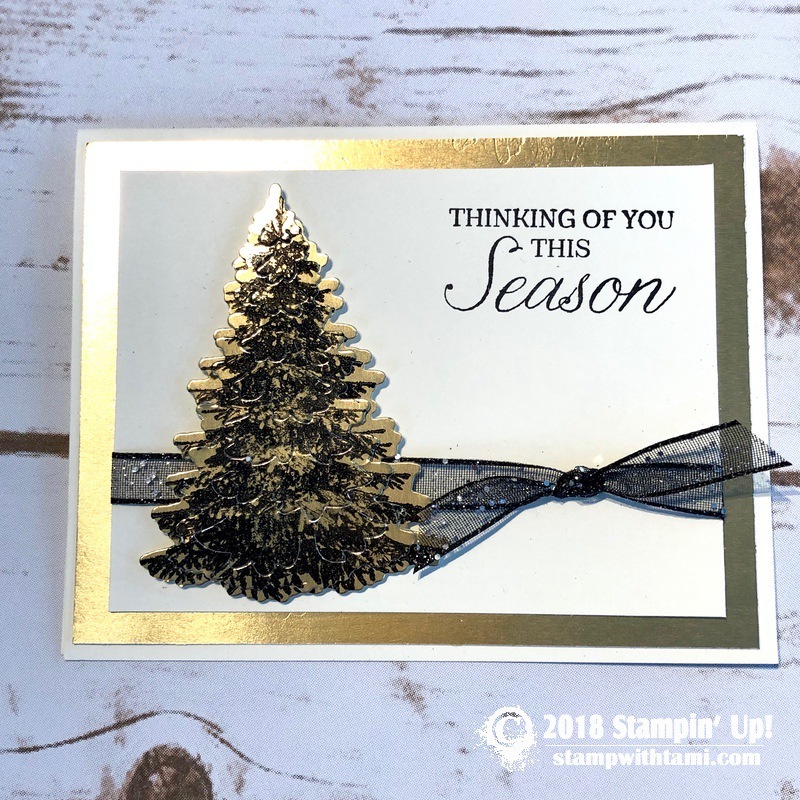 #stampitcontest I love the trees done with the metallic embossing powder ! Lovely! Thanks for sharing, and for the give-away! Love these cards!!! Got my bundle, now I need more gold foil sheets and the gorgeous ribbon! I am in love with this stamp set. Your cards are beautiful. Thanks for sharing! These are beautiful cards and the stamp set is great too! #stampitcontest Love, love, LOVE all three cards! Just gorgeous. #stampitcontest Wow, I can only say Wow to call the beautiful cards. I can’t wait to see them all! Thanks ladies. LOVE your 3 cards! Gold foil, gold embossing, and the trees are awesome!